Mayflower II is a full-scale reproduction of the 17th century ship Mayflower, which carried the Pilgrims from England to Massachusetts in 1620. 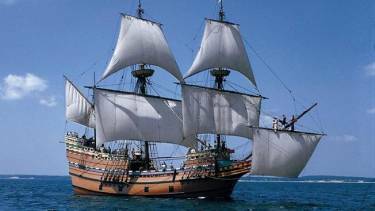 The replica, Mayflower II, was built in Plymouth, Devon, England during 1955-1956 and was a gift from England to the United States as a token of gratitude for their assistance during World War II. On April 20, 1957, Mayflower II set sail from Plymouth, Devon, recreating the original voyage across the Atlantic Ocean. The ship is considered a faithful generic replica, with solid oak timbers, tarred hemp rigging, and hand-colored maps. In 2015, the ship arrived at the Henry B. DuPont Preservation Shipyard in Mystic, CT for restoration. 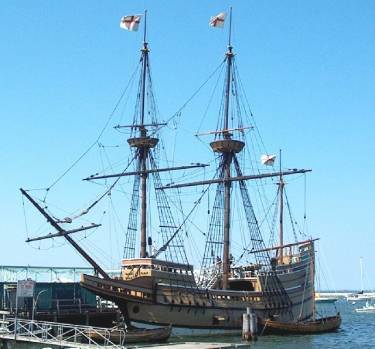 The ship returned to Plimoth Plantation Museum temporarily for the 2016 summer season, but needed to sail back to Mystic, CT for further restoration. 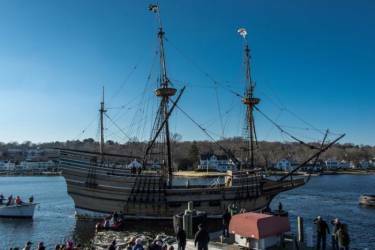 Mayflower II is due to return permanently to Plimoth Plantation located in Plymouth, MA in 2019, just in time for the 400th anniversary of the Pilgrims’ arrival. Spanning from March to October of 2017, Portland Bolt was the primary supplier for the bolts used in the restoration of Mayflower II. Staying true to the original head configuration of the bolts used on Mayflower, they were primarily square head and round head ranging from ½” through 1-1/8” diameter, manufactured to the ASTM A307A specification. The lengths of the bolts ranged anywhere from 7” to 50”. There were also 1-1/8” diameter rods with threads on each end ranging from 30” to 50” in length. Due to the marine environment that the ship is exposed to, all of the bolts and rods needed to be hot-dip galvanized, which Portland Bolt performs in house. In total, approximately 4,700 pounds of bolts were shipped from Portland Bolt’s facility in Oregon to the Preservation Shipyard in Mystic, CT.